It's been quite a journey for U.S. Army veteran Justin Lansford and his canine companion, Gabe. In 2012, Lansford lost his left leg in an IED explosion in Afghanistan. "I was a paratrooper in the 82nd Airborne Division and we were in eastern Afghanistan in early 2012," he told Lara Spencer in 2014. "We struck an IED and it flipped my truck completely. I had bilaterally severed femurs which resulted in the amputation of my left leg." Upon returning home to recover, Lansford was paired with Gabe, a then two-year-old Golden Retriever who had recently graduated from the Warrior Canine Connection. 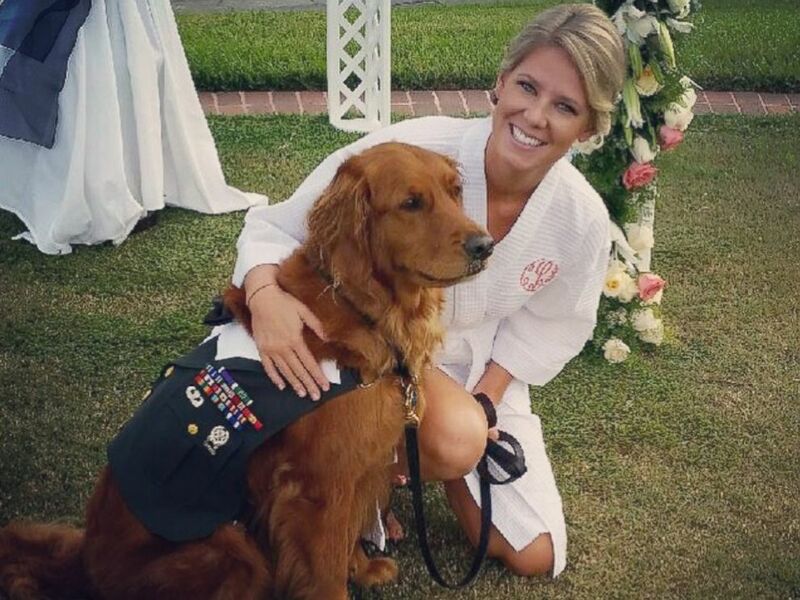 The WCC is a nonprofit that pairs wounded warriors with support dogs, who help their brave best friends improve their symptoms of post traumatic stress disorder. 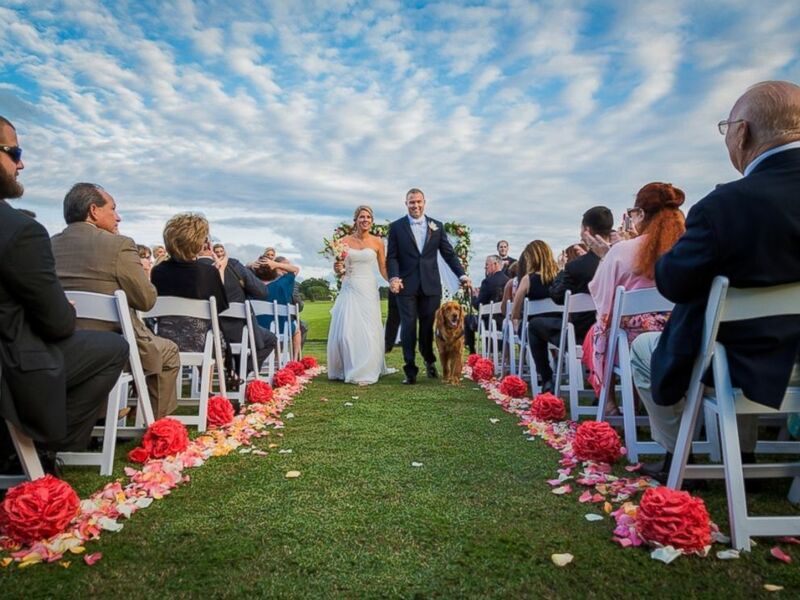 This past weekend, Gabe had his paws full with an entirely new slew of responsibilities, serving as the best man in Lansford’s wedding to longtime girlfriend, Carol Balmes. 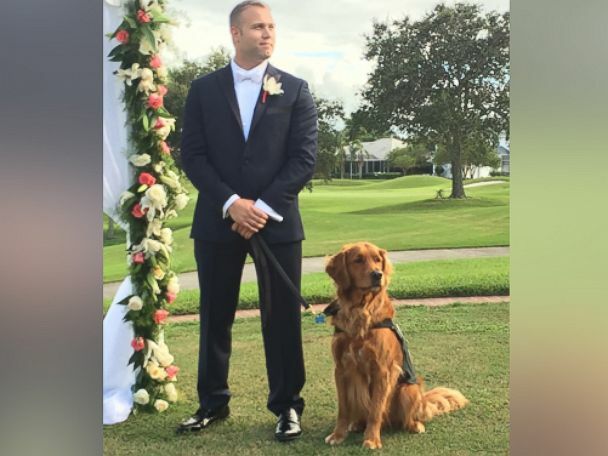 U.S. Army veteran Justin Lansford tied the knot with longtime girlfriend, Carol Balmes, with his canine companion, Gabe, at his side. Gabe donned his wedding finest, and posed for pictures at the ceremony in Largo, Florida on Saturday. The couple has been together since high school, and Justin proposed on Veteran’s Day last year –- with Gabe's help of course.